L-R Kevin Magee Lisa Bannon-Kegeci from Teleperformance present a cheque for £800 to Olivia MccShane PIPS Newry & Mourne. The money was raised by employees of Teleperformance for Dress Down Friday. 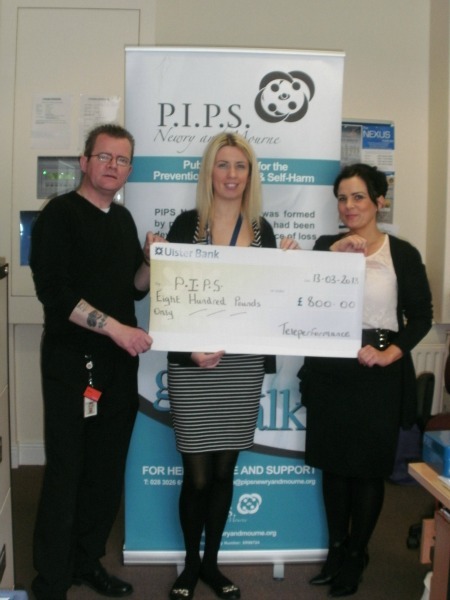 PIPS Newry & Mourne were one of twelve charities nominated by the staff. PIPS Newry & Mourne would like to express sincere thats to all the staff at Teleperformance for their generous donation.